TFQ: Usagi's current story arc is at a close as of Jan 7th. Can you tell us a little bit about your inspiration for this arc? 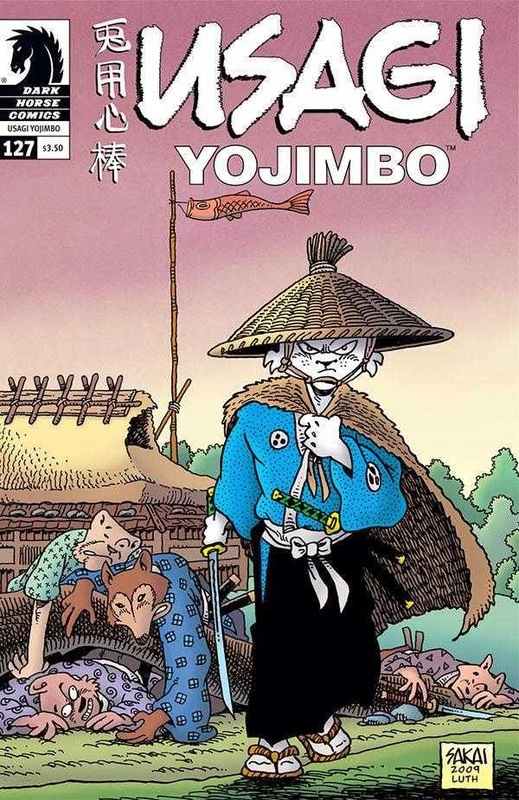 Stan: Usagi Yojimbo: Senso is a 6-issue limited series which will be released as a mass market hardcover in May. 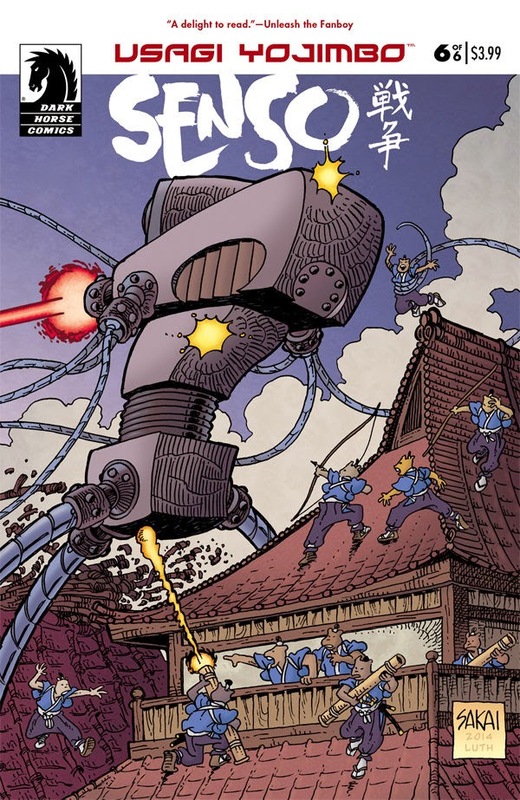 It takes place 20 years in Usagi's current future and the inspiration was: What if the martians in HG Well's War of the Worlds had sent a few scout ships 200 years before their invasion of England, and they landed in feudal Japan in the middle to the final battle with Usagi's forces and the evil Lord Hikiji. Whereas I am noted for the historical and cultural research I do, this story is just pure fun. The reviews have been very good. You can see how characters aged and what they are doing now, how relationships have changed, and who lives and who dies. Throughout the series are two threads involving the unrequited romance between Usagi and Tomoe, and the relationship between Usagi and Jotaro who does not know he is Usagi's son. TFQ: What is the future looking like for Usagi? Can you give us any hints as to what he will face in the future? Stan: The first three issues of the regular Usagi series is already in the can, and it won't be printed for another 4 months. I am already behind on my schedule, though. The story arc is brings together two women from Usagi's life--Chizu the determined ninja and Kitsune the thief who sees life as a game. I had wanted to bring these two together for a long time since their personalities are so different and, of course, they clash with Usagi caught in the middle. This all revolves around an attempt for a merchant to corner the ginseng root market. I am half way through the next issue in which Usagi meets a one-armed swordsman. The issue numbering continues where we left off two years ago, so the first of the new issues will be #145. If you add up the number of issues from all my publishers, I have done well more than 200 issues, all advancing the Usagi storyline. However, it is still very reader friendly. 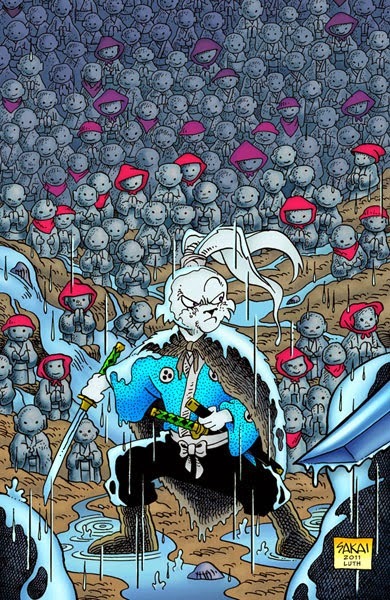 All a new reader needs to know is: Usagi is a samurai rabbit in a 17th century Japan inhabited by funny animals. TFQ: A lot of writers put little bits of themselves into the characters they create. What parts do identify with in Usagi? Stan: I am a third generation Japanese American. I like to think (or delude myself) that I would share Usagi's feelings of honor and loyalty. That is probably the two major points of bushido, the code of the samurai. TFQ: Any publications we can expect to grab this year with your name on it? Stan: I will have a lot of collections out this year. The omnibus UY Saga vol 2 comes out in a few weeks. The Senso collection will be out in May. UY Book 29: Two Hundred Jizo is scheduled for early June, and Saga 3 will be out in the summer with vol 4 near the end of the year. Keep your eyes peeled for more Usagi! It's not over yet!